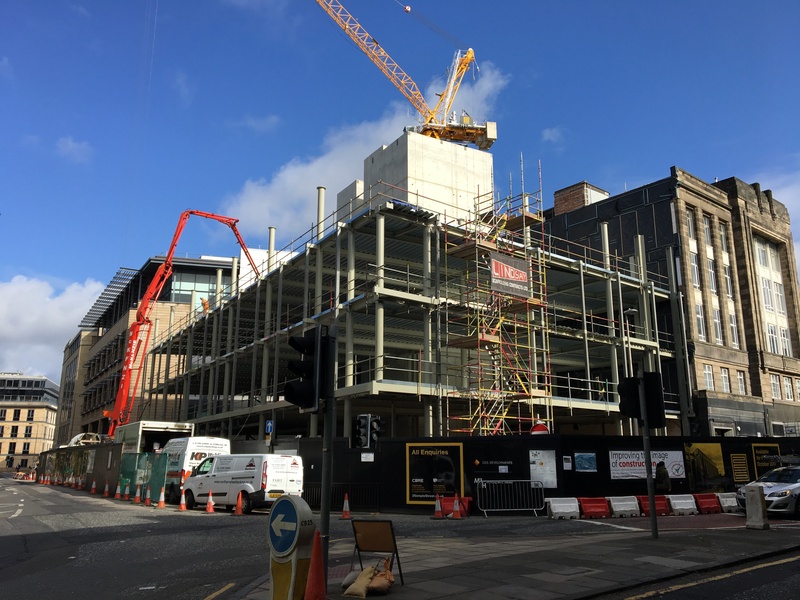 Located in the heart of the city’s Exchange District, the £24m 2 Semple Street development has been designed to help alleviate the Scottish Capital's chronic shortage of Grade A office accommodation. With an onus on energy efficiency and superb design, the newly-opened building boasts 45,000 sq ft of cutting-edge office and retail space, over five storeys. In terms of the flooring specification the challenge for awarded concrete and screed specialists, Advance Flooring Solutions was to procure a concrete solution which would enable minimal size slabs and help reduce the overall dead load of the building. The obvious choice then was Lytag from Aggregate Industries; a highly innovative lightweight concrete which can effectively reduce the dead load of approximately 25% over normal weight control, while offering the same level of structural performance. In total, 744m3 of Lytag was supplied for the completion of the five floors over the course of eight months. This was supported with a robust delivery framework ensuring that all batches arrived on time and to the exact specification – thus negating the risk of cold joints.